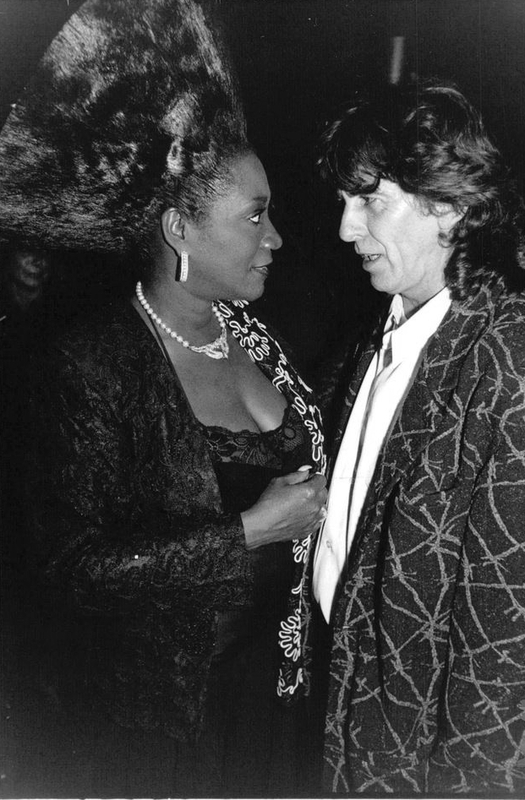 George with Patti Labelle in 1988. I would say this wasn't one of Ms. Labelle's best hairstyles, but it was the 1980's, so what else can be said? Patti La Belle and the Bluebell's record 'All or nothing' was one of the 40 records on George's jukebox when it was featured in 'Record Mirror' in January 1966. It is a wonderful record and very obscure so Kudos George!